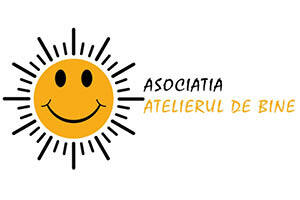 Asociatia Atelierul de Bine is a non-governmental, apolitical and not-for-profit organization, dedicated to supporting underprivileged children’s education, and fighting against food waste. Our association’s main mission is to prevent school and parental abandonment. Since 2015, we’ve been working for 200 underprivileged children with ages ranging from 1 month to 18 years old, living in Buzau county +12 nearby villages, Lehliu (Calarasi) and Bucharest. Throughout the year, we provide the kids with school supplies, basic food provisions for the entire family, food supplies for school lunches, clothes and footwear, regular physician appointments, assistance in dealing with law/school/bureaucratic issues, Christmas and Easter presents, themed parties (1st of June, birthday parties). In short: we offer care, love, and equal chances to education and a better future.